Chianti | Just Visit Siena ! Vino o caffè? Caffè o vino? And it doesn’t want to be different in Italy! Anyway today will be Vino and special one! Of course special for Tuscany! As you can guess . . . it will be Chianti that is produced in the Chianti region, extending roughly over the two main city provinces of Florence and Siena. And certainly it is known around the world. Can you imagine that the earliest documentation of a “Chianti wine” dates back to the thirteenth century!? Just then merchants in the nearby townships of Castellina, Gaiole and Radda formed the Lega del Chianti that was formed to produce and promote the local wine. What is more and probably you don’t know is the fact that the earliest incarnation of Chianti was as a white wine. 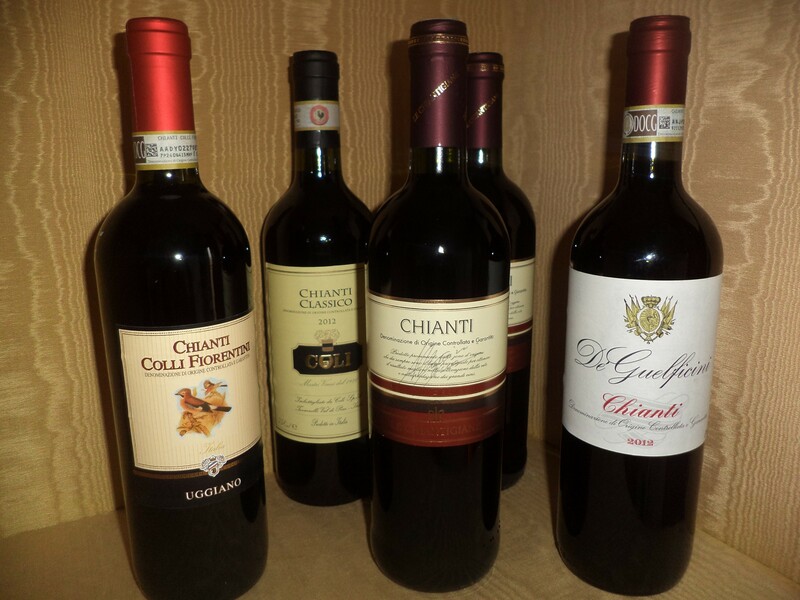 And by the eighteenth century, Chianti was widely recognized as a red wine. By the late twentieth century, Chianti was often associated with basic Chianti sold in a squat bottle enclosed in a straw basket, called a fiasco. However, during the same period, a group of ambitious producers began working outside the boundaries of DOC regulations to make what they believed would be a higher quality style of Chianti. Important here was year 1984, in which Chianti obtained the denomination D.O.C.G. (Denominazione d’Origine Controllata e Garantita) which is the highest type of protection and recognition for quality Italian wines. You can’t miss occasion to try Chianti Classico – premium Chianti wines that tend to be medium-bodied with firm tannins and medium-high to high acidity. Floral, cherry and light nutty notes are characteristic aromas with the wines expressing more notes on the mid-palate and finish than at the front of the mouth. It is necessary for me to give you some interesting information about ingredients . . . that probably you don’t consider a lot when you taste this unique wine. Since 1996 the blend for Chianti and Chianti Classico has been 75-100% Sangiovese, up to 10% Canaiolo and up to 20% of any other approved red grape variety such as Cabernet Sauvignon, Merlot or Syrah. Since 2006, the use of white grape varieties such as Malvasia and Trebbiano have been prohibited in Chianti Classico that must have a minimum alcohol level of at least 12% with a minimum of 7 months aging in oak. At the end the most important is where to get it. What is obvious Chianti you can find in Tuscany (here in Siena) almost everywhere . . . from supermarkets, bars, restaurants to wine shop. You can also taste it in such a places like for example Cacio & Pere, about which I mentioned some time ago 🙂 http://justvisitsiena.com/category/cacio-pere/ . You can also visit very small and how picturesque Castellina in Chianti . . .
And then there is only one word – Salute!